I has very special messages for you. 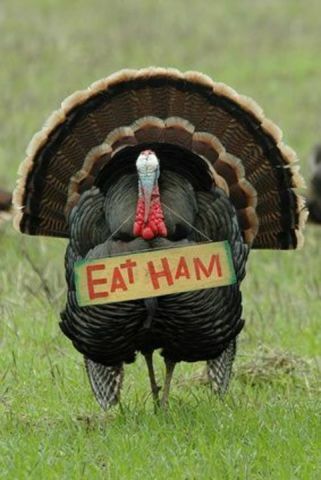 Please don't eats turkey this years. Go for ther pig! Or ther cow. Or even ther tofu. Just backs aways from ther birds!